In Italy it is often said that Amarone is a Meditation Wine. Rather than pairing it with food, the best way to appreciate a great Amarone is probably at the end of a meal, slowly sipping it while talking to friends, listening to some good music, or just meditating. That is why it is not a surprise how Jazz and Amarone is a perfect pairing. 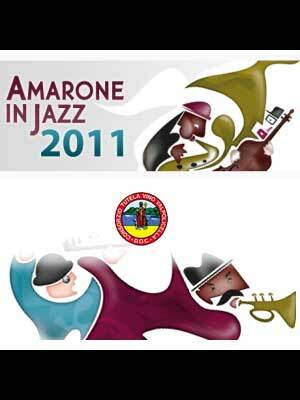 Amarone in Jazz Festival is a way to taste the greatest wine of Valpolicella while listening to great Jazz music. The 2011 Amarone in Jazz, from October 24th until November 1st, will be the 4th edition of this festival that is becoming increasingly popular. Concerts are held in theaters, restaurants, hotels, wine bars around Valpolicella, Verona and the surrounding areas. During the events it will be possible to taste Amarones of different vintages and producers pairing them with the music. This year will participate the festival famous international artists: Paolo Fresu, Uri Caine, Martin Taylor, Misha Tsiganof, Myron Walden, Darren Barrett, Yakushi Nakamura, John Davis, Massimo Coppola, X-Press Trio, Diego Amador, Jorge Pardo Mocambo Quintet, Jim Mullen, Raphael Wressing, Lucas Knofler.